Social media is an ongoing evolution with platforms accountable for different consumption habits or various forms of communication. 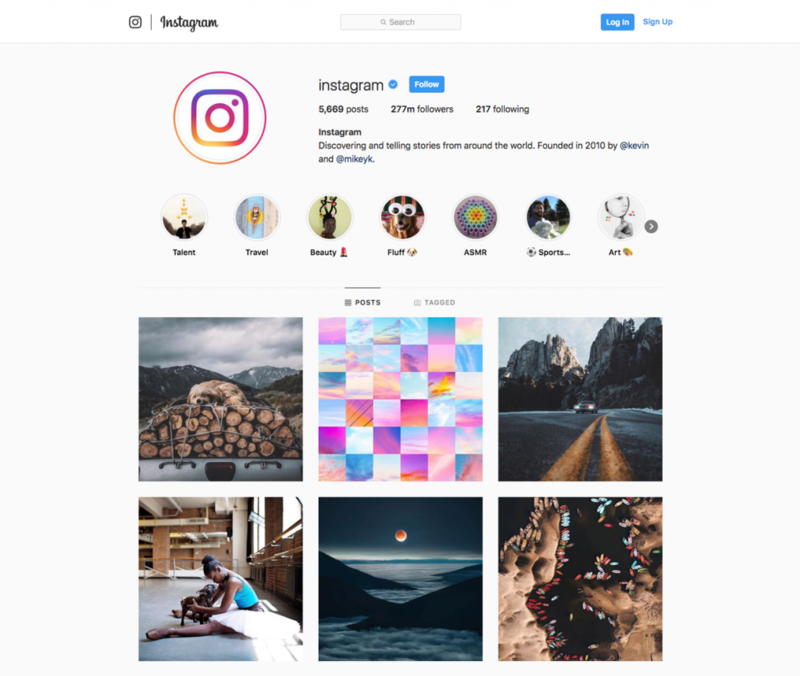 It is without a doubt that such platforms are always coming up with innovative twists to existing or new features to add to the different dimensions of the platform, platforms such as Instagram, Facebook, Whatsapp, etc. These changes not only give the users an opportunity to engage in a number of different ways with their favorite brands online, but to also give business owners a chance to captivate their audiences through an array of digital design or artworks. In 2019, visuals are the main priority in addition to short-lived content; video content generally includes live video feeds to draw your target audience in on your brand. Video continues to dominate social media and is an equally big trend for 2019, as it was, for 2018. According to online marketing expert Marcus Sheridan, 80% of what we consume online will be video content, by 2019. 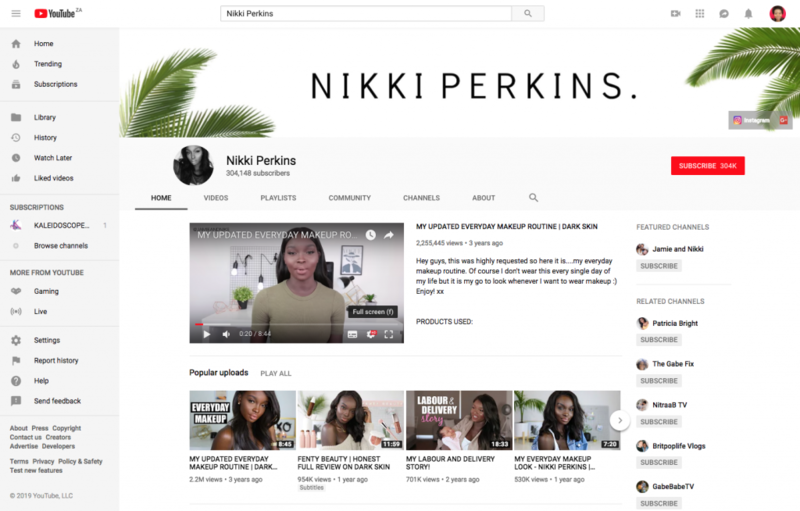 Even YouTube continues to go as a platform, giving more and more YouTubers a chance to create original video content for their audiences. 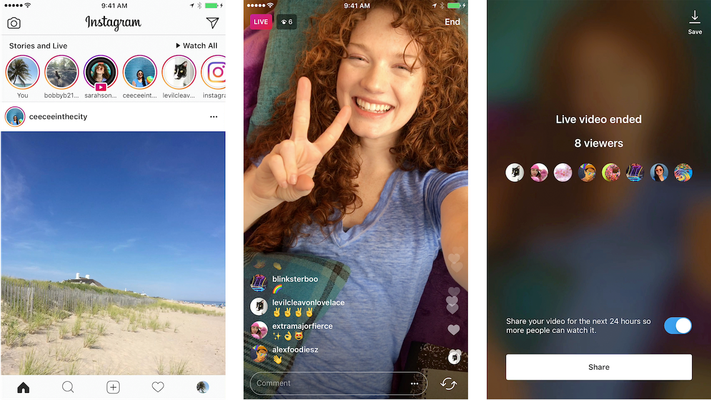 Somya Mehta states that live video is something that’s been around for a while, especially on YouTube, but its popularity across Facebook and now Instagram has made it a key opportunity for marketers to look out for in 2019. Mehta explains that the interactivity of live video makes it a powerful tool for users or marketers to engage with their audience and strengthen the relationship between a brand and its followers – influencing the authenticity of ‘going live’ is another factor that the audience can benefit from, as it helps build trust and loyalty with a brand. Steve Jobs once said, “Design is not just what it looks like and feels like. Design is how it works.” A great design is about understanding that fonts, colors and images are simply resources for telling a story. When these resources are put to use correctly, elements of design not only catch your eye, but also convey valuable information, such as your company’s mission, vision and purpose. Unfortunately, most businesses undervalue graphic design, or worse, they think it holds no value at all. If you’re a small business owner, here are five reasons why good graphic design matters, and why it should hold a prominent place in your marketing plan. It takes less than 50 milliseconds (that’s 0.05 seconds) for users to form an opinion about your content that determines whether they like your webpage or not, whether they’ll stay or leave. Surprisingly, it is the company logo that draws the most attention from visitors. The company logo is an essential asset to winning their trust. Excellent graphic design ensures that your logo looks professional, as well as to clearly show who you are as a company/brand. With such a short time for a window of opportunity to convert a visitor into a loyal customer, don’t leave your logo design to an amateur. Here is an example of MailChimp and a unique use of micro interactions on Femme & Fierce’s landing pages below. An image, logo or social media graphic can quickly give a snapshot of your company’s story. Considering this, excellent graphic designers are not simply artists; they are information designers who make the complex easy to understand. It takes takes talent and experience, something many of us lack when it comes to creating excellent graphic design. To ensure your story is heard loud and clear, employ the help of an experienced graphic designer who understands your mission, vision and values, BWD Advertising. Here below is an example of Instagram being the top brand on its own platform. Do not confuse your potential customers with inconsistent messaging from your brand. It is not advisable to have a different look for your company on social media platforms and another one for your print publications as this does harm to your brand. At every touch point, online and offline, your brand needs to be telling the same story and delivering the same messaging. Excellent graphic design can help keep your branding consistently by creating guidelines that require everyone to use the same fonts, colors, tone and voice – also known as a Corporate Identity. Consistency builds trust and makes your brand feel more dependable, whereby consumers now feel that they know who you are as a company and are more likely to purchase from you and recommend you to other potential consumers. 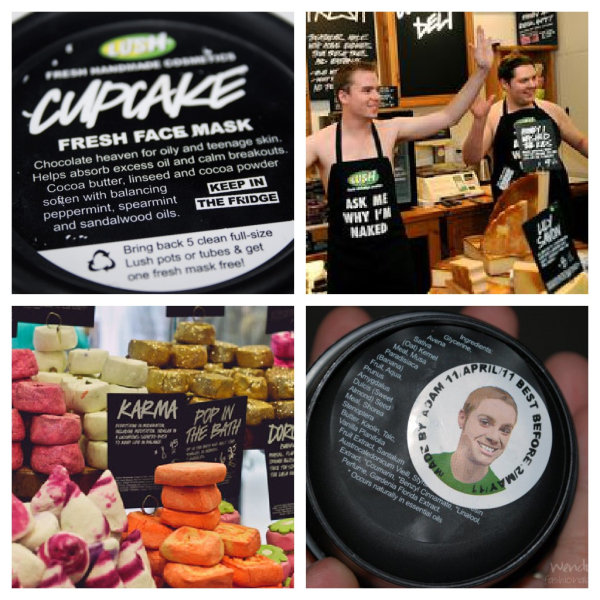 According to Hannah Fleishman, “The international handmade cosmetics company, Lush, believes in ‘making effective products from fresh organic fruits and vegetables,’ and in ‘happy people making happy soap.’ Lush stores, products, packaging, and employees all tell that story.” We admire Lush’s consistency and prominent branding. According to 3D Digital, social media is one of the best platforms to not only find new customers, but also develop a loyal fan following. And the best way to do that is through excellent graphic design. 3D Digital explains that everything from your cover art to your social posts should quickly help consumers identify your brand. Ensure that your images are visually interesting, however you need to follow brand guidelines. Create shareable content, such as infographics, gifs and memes that help expand your brand’s reach outside of your established follower base. Above all else, ensure that your story is front and center. Rihanna’s Fenty Beauty is the perfect example of business with a strong social media presence and social engagement. What does a subscription form, a stock image and a doctor’s waiting room all have in common? They’re boring! Excellent graphic design is never ordinary as it takes a skilled designer to create memorable, unique logos, well-designed webpages, and marketing pieces that can attract the good kind of attention. Bad design, however, can make you stand out for all the wrong reasons. For an example, in 2010, Gap decided it wanted to change its logo into a more modern version and abruptly announced a new logo. The clothing company was greeted by backlash from thousands of angry customers in social media, who were attached to the recognizable blue box with ‘GAP’ written in the center. The new logo (on right), stands for the saying, “if it isn’t broken, don’t fix it” would’ve been sound advice. Its customers were already loyal to the original logo. As marketers, it’s important to include your customers in important educated decisions like changing your logo. Don’t leave your company’s public image to chance. Be sure graphic design is a part of your marketing strategy and that all company employees follow your brand guidelines. When done correctly, excellent graphic design helps your company stand out for the right reasons, but also helps it succeed.